The Bride's *Ultimate* Guide To Shaadi Shopping In Jaipur! As soon as he goes down on his knees and pops the big question and you say yes, the exciting part of the wedding begins. The roka and engagement party, the endless planning sessions with your parents, and the joy of finally starting a new chapter in life. But hey bride-to-be, let’s be honest, what’s the most fun-filled part of the Shaadi prep? The wedding shopping, obviously! If you’re from Delhi, you obviously know all the famous designer boutiques in Mehrauli and the popular stores in Chandni Chowk. You’ll find something for every budget and every style. But if you want to explore more traditional bridal ensemble stores we would suggest paying a visit to Jaipur or Varanasi. The silks and georgettes are crafted with intricate work and they look absolutely divine. Jaipur- the city of palaces, of bustling bazaars, of heritage culture and of course shaadi shopping. But guys, the pink city is not just that, it’s a haven for brides looking for the best quality fabric, the most stunning bridal outfits and even for trousseau shopping. It’s got not only clothes but is also a mecca for all things bridal including footwear and jewellery. So if you live around there or are planning to take a trip for your D-day, you’ve got to read this one-stop guide to the city. Yep, we went all around and visited all the stores in the area so that you wouldn’t have to do all the extra effort. You can thank us later guys! 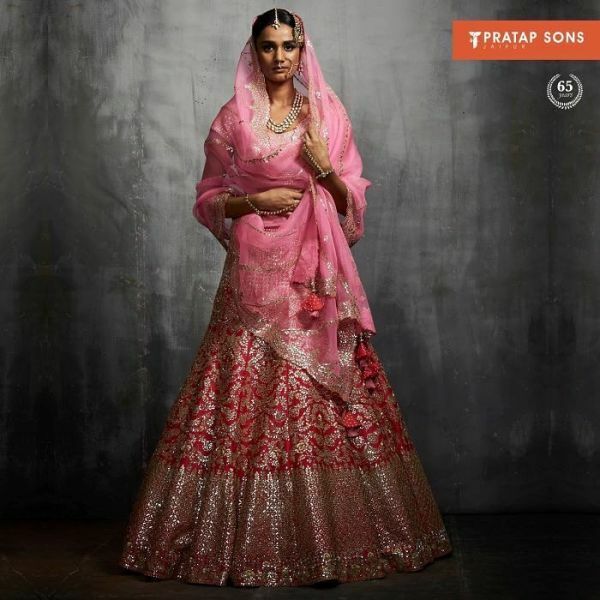 If you’re planning to pick an outfit for your special day or even one for one of your pre-wedding functions, then you’ve come to the right place cause these stores in Jaipur specialise in all things bridal. When you’re talking about an outfit for your special day, everything has to be just right- the embroidery, the fabric, and the finishing. Well, you can expect all of this from these stores. However, you will definitely find some lighter pieces also for the mother or sister of the bride to shine. Rana’s in Jaipur is one of those shops where you’ll find the widest range of the latest bridal outfits. These range from classic zari workpieces to very trendy and modern styles. They especially keep outfits with elaborate hand-work and you can definitely find an ensemble that’ll suit both your personality and your shaadi style. Brides who are going all out and want to feel like a Princess, this store is apt for your regal moment. These guys are one of the oldest stores in Jaipur focussing on the intricate detailing that goes into wedding wear. They are one of the first few stores in Jaipur that started making bridal ensemble and have since then been doing it for three generations. It goes without saying that they’ve mastered the art by now. They are very helpful when it comes to finding the perfect outfit for the occasion and be sure that you’ll be walking out with a whole lot of bags after this trip. 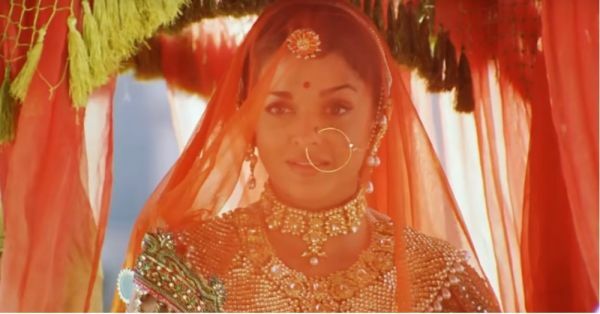 They’ve successfully kept traditional Rajasthani work like aari, gota patti and embroidery alive and my gosh, it’s drop-dead-gorgeous! Another stunning store to pick out your D-day ensemble. The outfits exude a regal vibe and are woven with very intricate handwork and zari designs. The colours you’ll find here are rich and vibrant and you’ll sure as hell be remembered as the bride who knew how to match the subtlety in contemporary designs as well as the grandeur in traditional wear. It’s a favourite on everyone’s list and for good reason. Kishori in Jaipur is again one of those stores where every type of bride will find something. 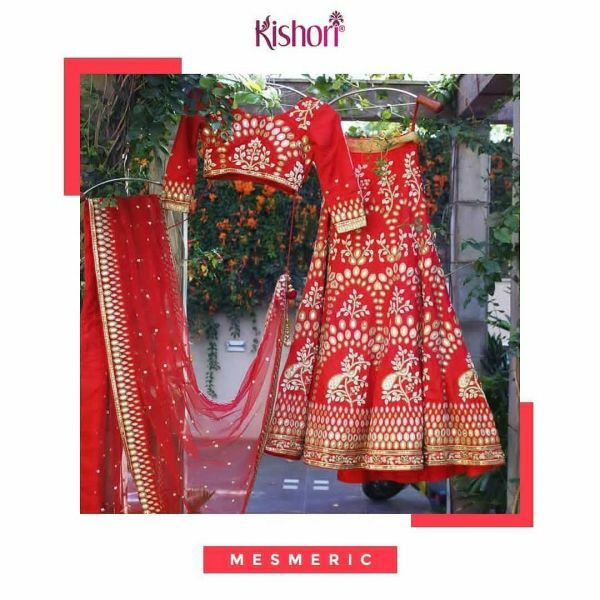 They have traditional red and gold lehenga with cancan and even keep a wide variety of pastel outfits with thread work which would be perfect for a day wedding. The gorgeous zardozi embellishments on sarees and lehengas and ornamental patterns and complex designs make their collection one of a kind. You can find fabric sets, kurtis gowns and designer wear with prints. You’ll even be able to find lighter outfits for your pre-wedding functions like Mehendi and Haldi. This store is an ideal one because of the sheer number of pieces it keeps. 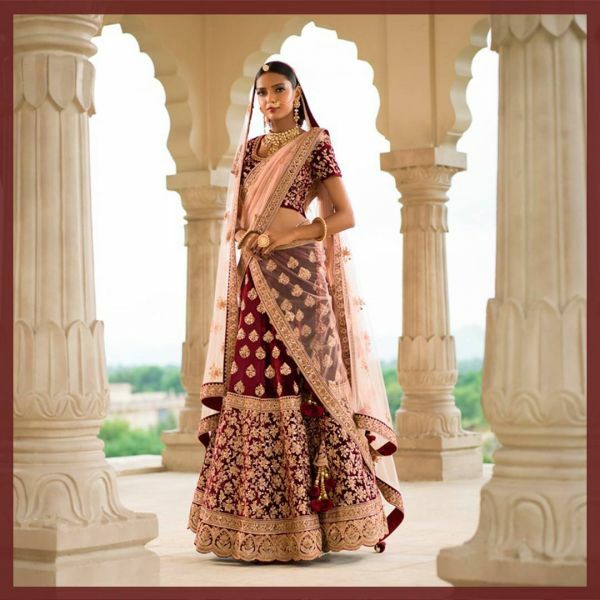 Not just bridal lehengas, you’ll find ethnic suits, anarkalis for your trousseau, light gowns for pre-wedding functions and even heavier ones to shine on your special day. These are all designed with such finesse that you won’t help but fall deeply in love. They are crafted and finished also with skill using aari and gota work and you’ve got to note down this place in your Jaipur shopping list. If you’re planning on picking something up for your bridesmaids you can definitely check this out because it boasts of a lot of fresh and bright designs that are ideal for the young girl’s style. Oh, I’ve died and gone to bridal-wear heaven. 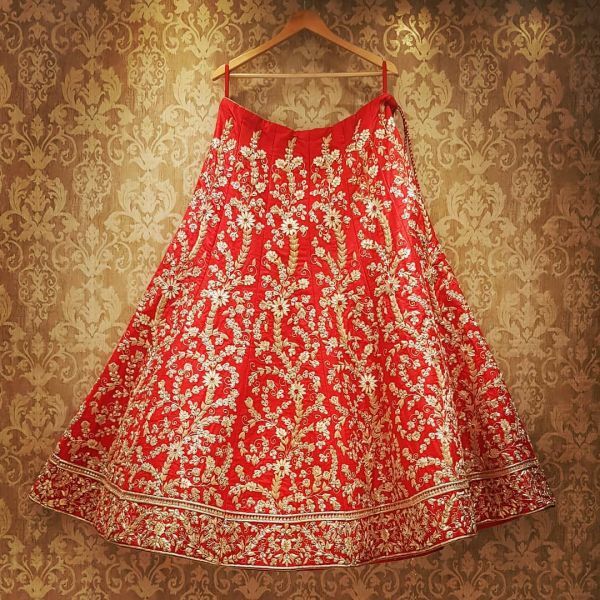 The ethnic prints, the stunning lehengas and the soft fabric all prove that the quality is absolutely top-notch. The Banarasi silks are perfect if you’re going to have a royal winter wedding and the brocade work is also unparalleled. They even give a new twist to the traditional weaving with colour blocking and using bold shades for the ensemble combinations. If you’re looking for bespoke bridal wear then Milana Masci in Jaipur, Rajasthan is the place to go. The place has resplendent outfits and focuses on traditional kaarigari. From customizing a lehenga for you from scratch to mixing and matching the lehenga skirt, dupatta and blouse, you can go for what you like best. They weave in the royal heritage of the city into their chic looks and are giving couture a new name. The artisan work or karigari is so well-done that you wouldn’t want to look any further. Check out their embroidered ethnic jackets for a winter wedding and their velvet lehenga cholis and you’ll definitely feel like a Queen on your wedding day! While you might not find something for your main wedding day, unless you’re looking for something super low-key and fun, you’ll definitely find something for your pre-wedding functions. 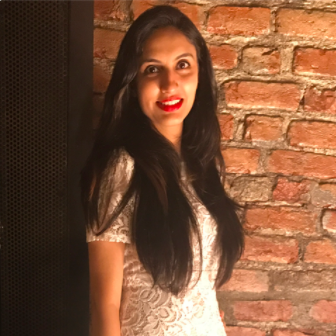 So if you’re having a day-time mehendi or a celebratory party with your friends you can pick something from this designer boutique. Kanupriya Jain specialises in modern, and Indo-western pieces which look great on the new-age bride. You can even get some of the fusion pieces, ethnic tunics with fun colours for your trousseau to wear in your Sasural at one of your post-shaadi parties. Another place for customized bridal wear! The designers help you pick an outfit in accordance to your taste and budget. They also keep ready-to-wear outfits if you are in a hurry. Look for scalloped edged lehengas, detailed gowns and anarkalis and ask for help in case you’re unsure of the style that’ll look nice on you. 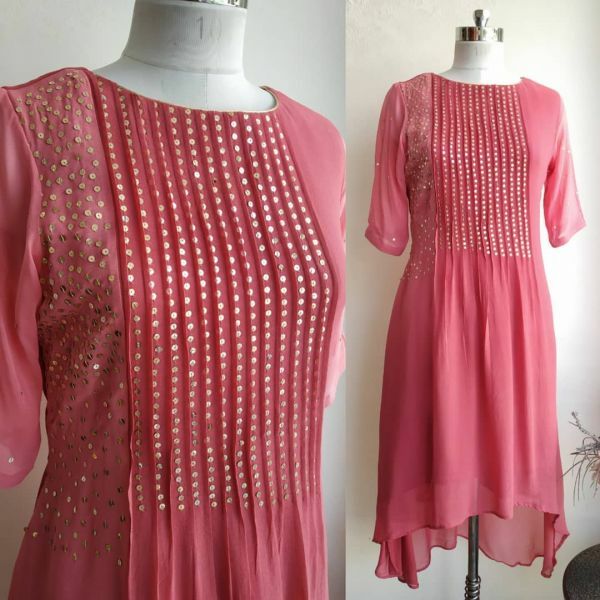 You can fill your trousseau with pieces from here because the styles are so trendy and different. 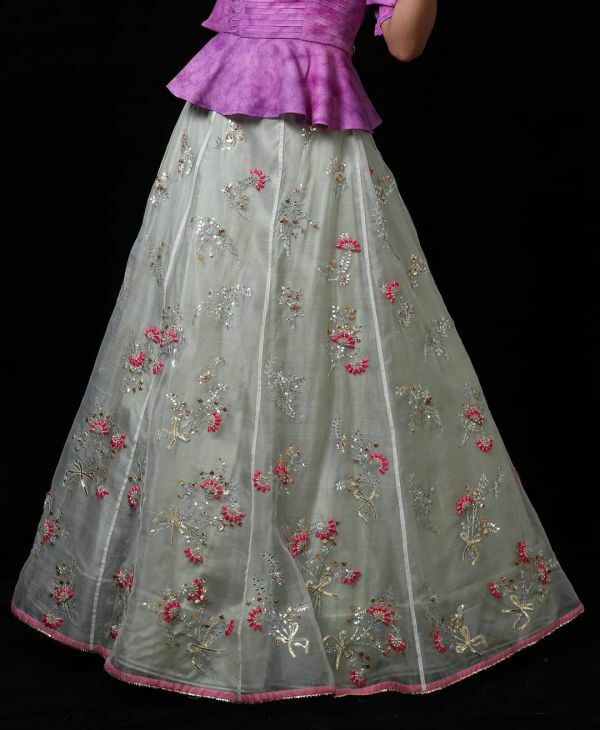 Anupama Bose in Jaipur carries forward the traditional Gota Patti work but adds that touch of freshness to it. Her pieces are for the young bride who wants to keep everything fun and trendy. While some of the outfits are a little light for your D-day, you’ll definitely find something quirky yet stunning for the pre-wedding functions. They do custom designed outfits from scratch and aim for perfection and have an eye for detail. They even keep ready-to-pick ensembles in case you want something immediately. We would also suggest this store for the sister of the bride as it’s the ideal combination of just enough and not too much! 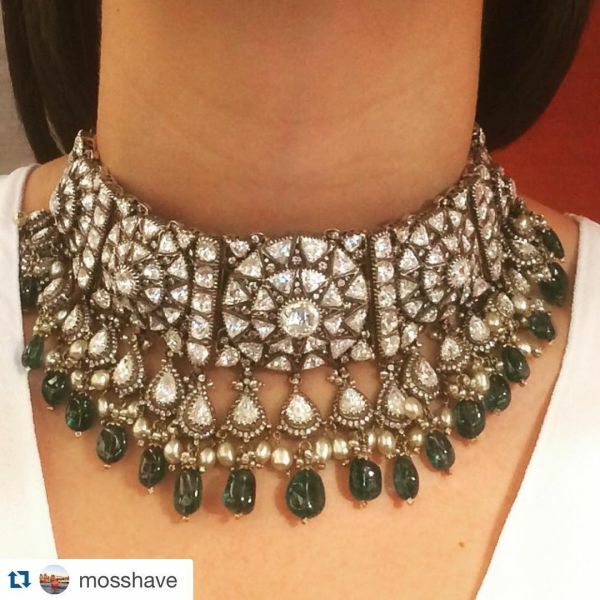 What is a bridal ensemble without jewels to adorn you? It’s your big day and you’ve got to go that extra mile with the kundan set or glittery diamonds to tie the whole look together. The bling in all its glory looks resplendent and makes you outshine the rest. And Jaipur being the bridal paradise that it is, has karigars which do a terrific job at the detailing required in jewellery making. So get set and get your bling on! JKJ & Sons Jewellers is one of the oldest stores in the city for bridal jewellery. 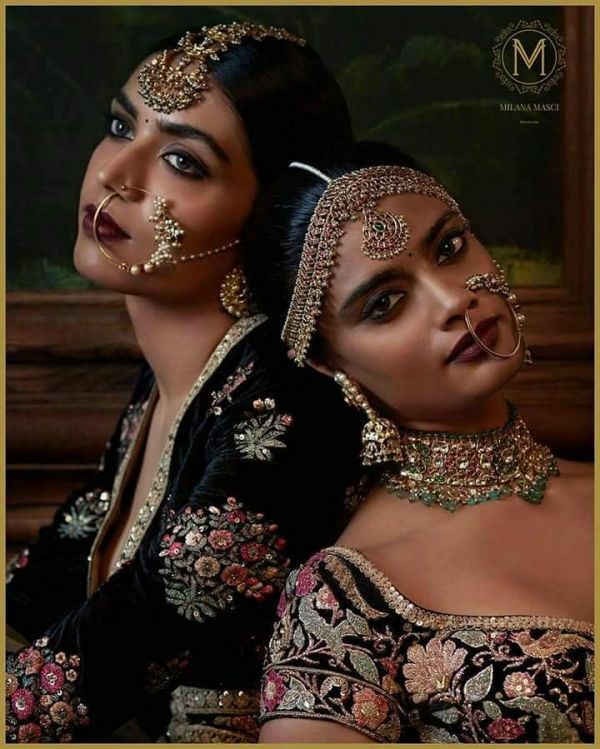 They have both traditional designs if you want to go for that rani vibe but also has contemporary pieces if a minimalistic style is more you. The artisans are skilled and that’s why the finishing is loved by so many people. Pick out something that they’ve got displayed or get a set made, you’re sure to have perfection. As the name suggests, it’s all about that regal vibe. It is a family-owned business which lives by the morals of perfection in their sets. 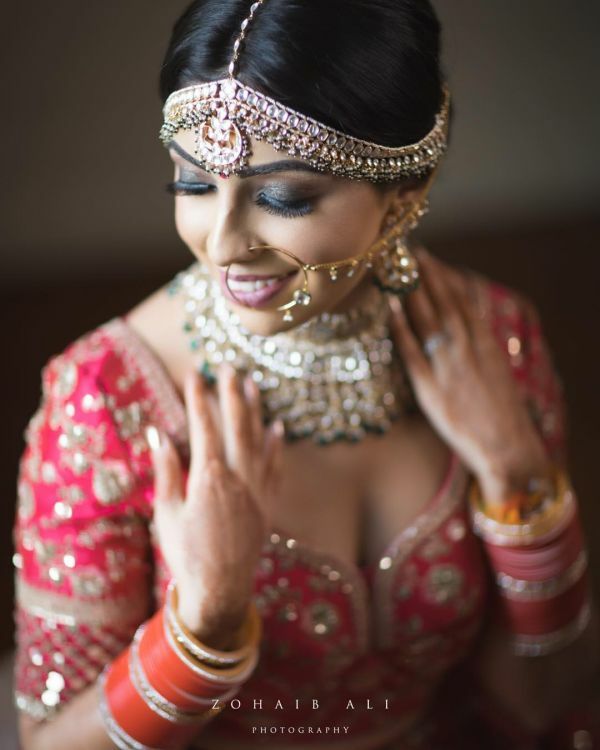 They’ve been perfecting Edwardian, Byzantine styles as well as Mughal-Kundan and Meena-workpieces for the bride who likes variety. You can pick out some of the more lighter necklaces and bracelets for your pre-wedding functions and you’ll glitter like the Goddess you are! They are one of the oldest jewellers in all of Jaipur and they are very well living up to their name. If you want to look like a royal bride on your wedding and are looking for some really elaborate pieces of jewellery, then look no further. This is where you will find what you’re looking for. Talking of jewellery and Jaipur, it’s impossible for anyone to miss out on Amrapali. Founded in the city over three decades ago, it is now a globally renowned name in the jewellery industry. Even celebrities and designers are crazy about Amrapali’s designs and are often seen sporting them. They have a wide range of silver, gold and polki jewellery. Need we say more? P.S. Jaipur has a full-fledged jewellery market located in the heart of the city. It’s called Johari Bazaar and you will be able to find a lot of other stores selling everything ranging from precious to semi-precious and even artificial jewellery. We’re telling you, this place is a package! Now that you’re done with your outfits and jewellery, it’s time to look for some other trinkets. Head to Bapu Bazaar for some pretty mojris and juttis. Apart from that, Bapu Bazaar houses the Saraogi Mansion, which is a cluster of some of the best lehenga and saree stores in the city. You should check it out for sure! When in Jaipur, you must definitely pick out a dozen pretty lac bangles and other cute lac accessories. Tripolia Bazaar is where you should head to look for them. It is filled with shops selling a variety of bangles in various colours and designs. It is a riot of vibrant shades and such a treat to the eyes. This market also houses the Rajasthan Trunk Company, from where you can pick the coolest, hand painted trunks for your trousseau! Awesome, right? Badi Chaupar is a treasure chest of handicrafts, antique goodies and camel leather accessories. You can find some really cute wedding favours here and also pick out some pretty decor goodies for your new room. So brides, get set and happy shopping! You’ll make a gorgeous bride and we’re sure of it!